​Do you seek a life centered on Jesus? Do you seek to explore and live his Way of Love? How will you or your church, ministry, or network commit to following the Way of Jesus? How could you join or gather a community for practicing Jesus-centered life? 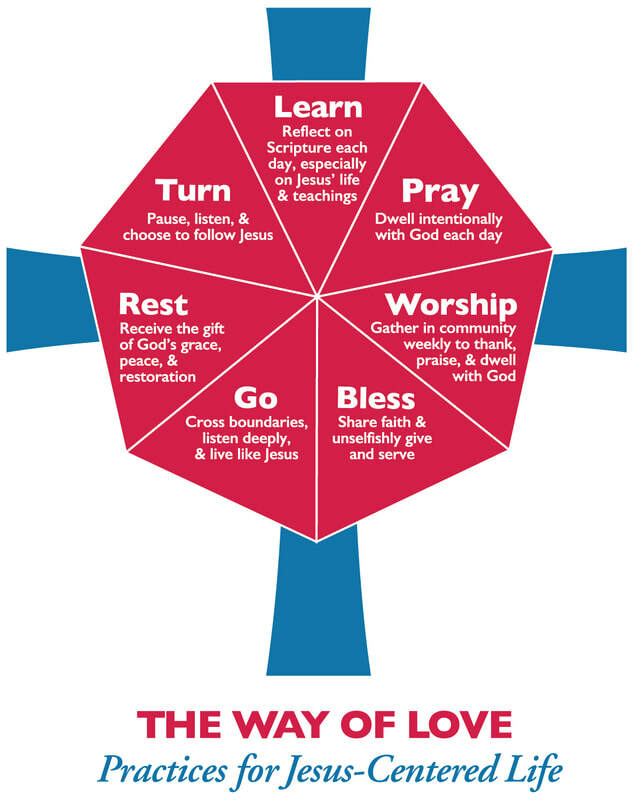 Get inspired at the Way of Love Revival by looking at how we can live the Way of Love — as individuals, ministry groups, congregations, and networks. Take part in the church-wide movement. Read more about revival. Come hear the message of from the preacher at the 2018 Royal Wedding, whose clear message of love was, according to the New York Times, "the surprise biggest star of this royal wedding." His message at the Way of Love Revival will echo that love in ways that can inspire those gathered to go out into the world and share that love, and provide practices for a Jesus-centered life. Primary Preacher, The MosT Rev. The Way of Love Revival is being planned by a design team of leaders and volunteers from around the diocese. If you have an interest in helping out with any of these teams, click on the team leader's name and email them of your interest! The Design Team Coordinators coordinate the work of the teams in planning and implementing the revival event. The Logistical Support Team assist the coordinators and team leaders assuring they have the communication and resources they need to function. The program team is in charge of coordinating elements related to the program. The promotion team is in charge of coordinating elements related to promoting the event to the public. The support team is in charge of coordinating elements related to raising support for the event, both financial and prayer.